View from the original dwelling to the rear extension. 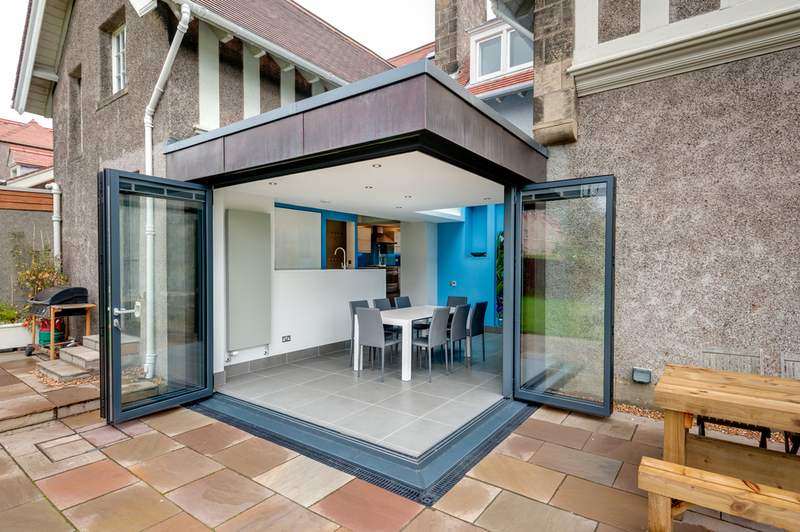 Internal view of the house extension with the large aluminium sliding doors. Originally two small rooms, the new kitchen incorporates an island with back-lit raft ceilings over. View of the new first floor (attic) landing. 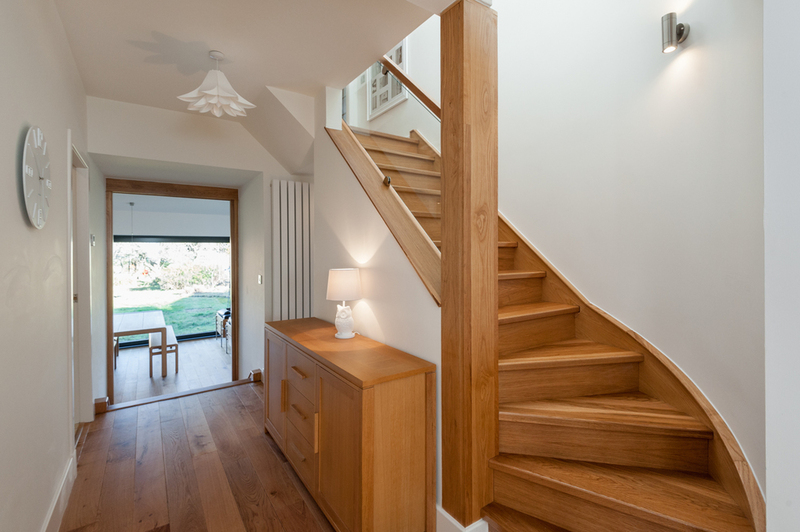 Key objective was to maximise light into the first and ground floors. 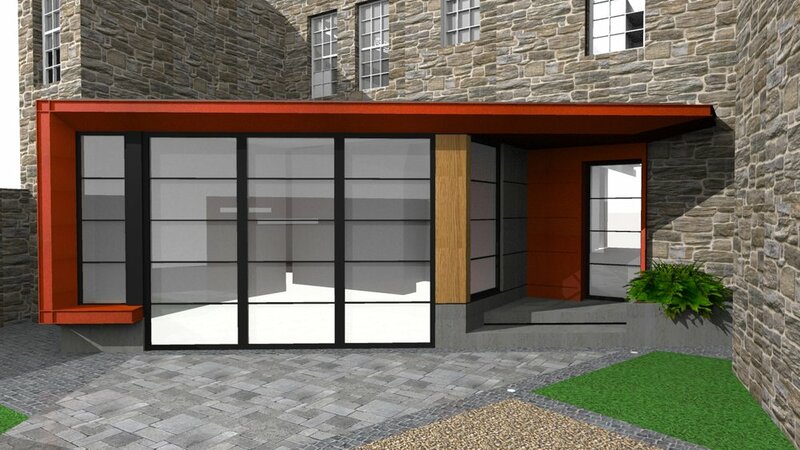 New garden room designed for an awkward shaped garden.